Over the past year, the rental price of one-bedroom units in New York City have appreciated over 3 percent. 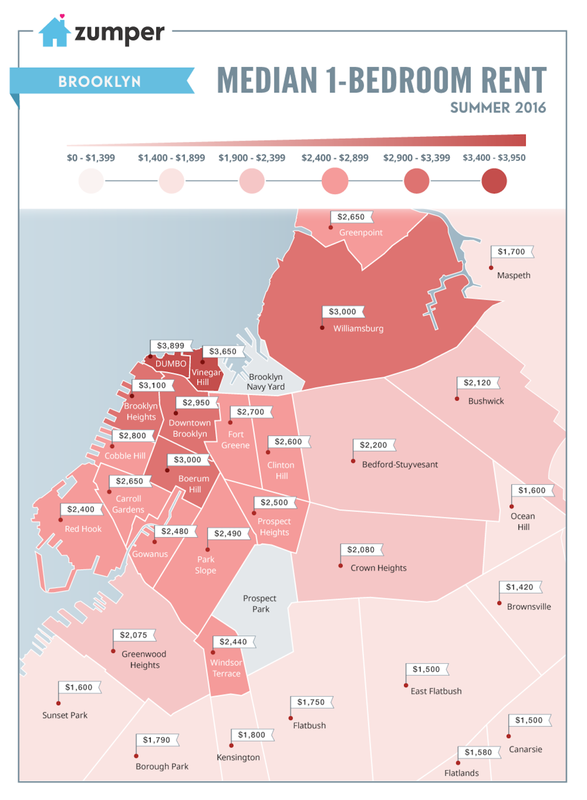 Ranging between $3,100 and $3,900, Dumbo, Vinegar Hill and Brooklyn Heights were the most expensive Brooklyn neighborhoods to rent in this summer. Mid-range priced rentals priced between $2,000 to $2,200 could be found in Bedford-Stuyvesant, Crown Heights and Bushwick.